But it’s never too late for a beer-based beverage! Especially one that acts as a welcome substitute for a Bloody Mary when the summer is too sticky for tomato juice but you still need something to knock last night’s fog out. 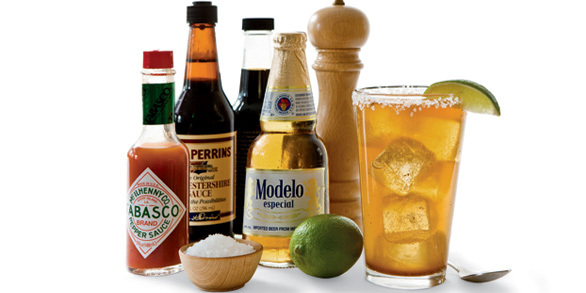 So if you like to drink anything bloody (Mary or Beer – this is not a vampire reference), try this out on Memorial Day. It’s an icy, refreshing change of pace. Ole! Run a lime wedge around your glass and rim with salt. Add all ingredients, saving beer for last. Stir and slurrrrrrrp. Salty goodness.